This Plus Red Knee Length Crinoline will do all that and more when added to your costume! It incorporates flounce, fluff, and a little bit of fabulous with every wear! It can go under a Queen of Hearts, pirate, princess, or poodle skirt costume to amplify not only the volume, but the style of your look. Plus, we guarantee that once you slip this slip on – hey, we said no more rhymes, but nothing about puns! – you will have the irresistible urge to spin and twirl and do just about anything in it! 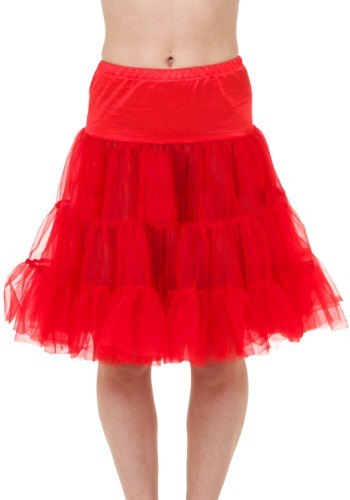 This knee length, multilayered petticoat is a must in any costume collection!